October 28, 2018, 3 PM: We embark upon our 57th season reflecting on "How Suite It Is." This concert includes some of the most recognizable and most frequently played suites in the symphonic band repertoire. 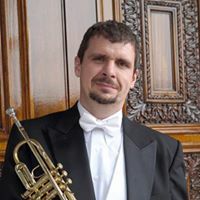 Rhode Island Philharmonic principal trumpeter Joseph Foley will play the Hummel Trumpet Concerto. December 9, 2018, 1:30 PM: Once again, we offer our Annual Children’s Christmas Concert, free of charge, at the Sippican School on Sunday, December 9th with the help of the Sippican School Concert Choir under the direction of Patricia Richard. February 10, 2019, 3 PM: From dancing in the Secret Garden to strolling through the Country Gardens, The Tri-County Symphonic Band explores the great outdoors in a concert entitled "Going Green." 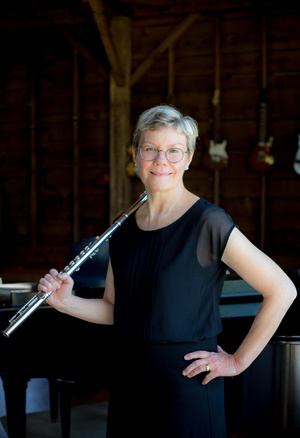 Flutist Leslie Neighbor Stroud will perform the enchanting Gary Schocker opus "Green Places" in the Dartmouth High School Auditorium on Sunday, February 10th. 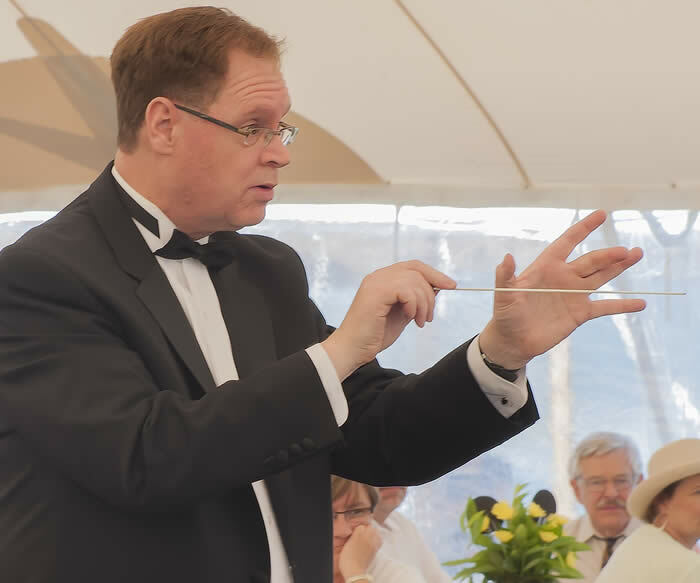 March 23 and 24, 2019, 3 PM: The Tri-County Symphonic Band commissioned Cape Cod composer Michael Donovan to write a piece that gives us musical perspective on the body of water that defines our area: "Postcards from Buzzards Bay." This seven-movement work takes us from Dartmouth to Woods Hole and brings to life the many ways that we encounter, embrace and endure this wonderful bay. The concert will also feature other works written about the bay and about the sea and the Tri-County Symphonic Band will perform this concert twice; at Falmouth Academy on Saturday, March 23rd and at Tabor Academy on Sunday, March 24th. The 2018-2019 concert season, our fifty-seventh, is a fun-filled, whirlwind trip through some of the finest music ever written for symphonic band. We are excited that you will be part of our tradition of bringing the community high quality symphonic band music and outstanding soloists. Help us to share the “Tri-County experience” that has thrilled audiences for over 57 years. 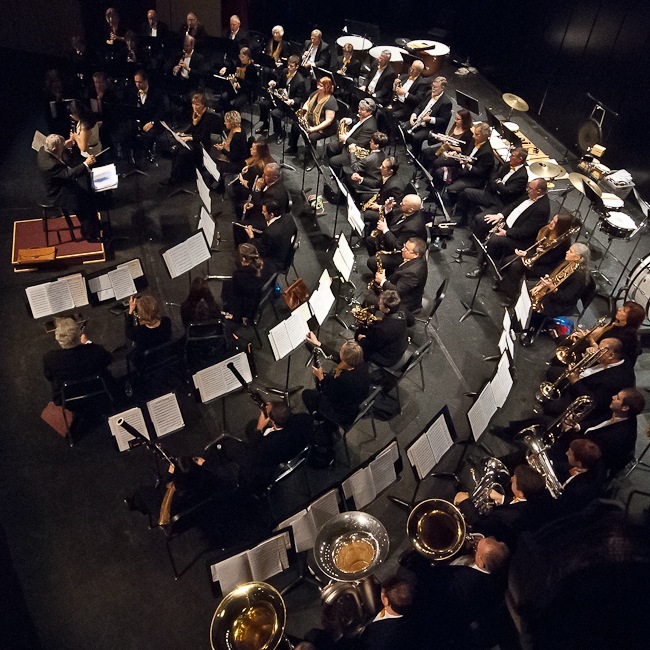 Since 1962 the TRI-COUNTY SYMPHONIC BAND has been part of the cultural life of Southeastern Massachusetts. Professional and fine amateur musicians including talented students from Bristol, Plymouth and Barnstable counties come together to perform classical, semi-classical and contemporary music. 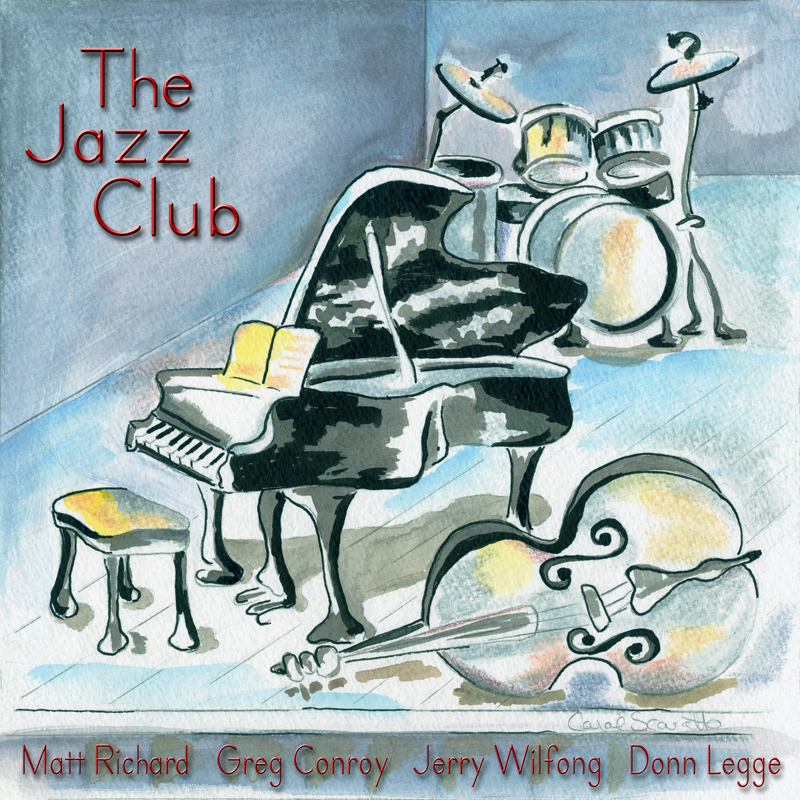 Guest soloists and groups are drawn from the best musical institutions. The primary aim of the organization has been to make live performances of quality concert band repertoire available in the community and to give musicians a chance to share their love for the art of making music. The TRI-COUNTY MUSIC ASSOCIATION, Inc., supports the Tri-County Symphonic Band in presenting high quality musical performances. A secondary aim is to encourage our young people to pursue careers in music education or as instrumentalists by providing them an opportunity to perform and by awarding scholarships. The Tri-County Music Association (TCMA) administers the John R. Pandolfi Scholarship Fund offering scholarships for college music majors and summer study grants for high school students. Over the years, more than 100 students have received such awards for college study. For the past seven years the Association was also able to offer summer music study grants to deserving high school students (grades 9-12). The Association awards $12,000 to young musicians each year. 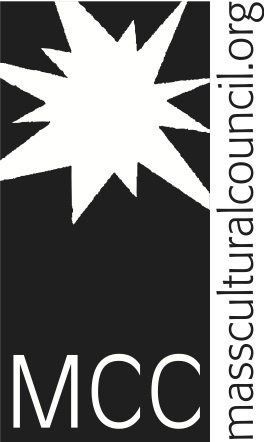 The Tri-County Music Association, Inc. is a 501C3 not-for-profit organization.